As part of the preparations towards the commemoration on March 9th 2019, a series of creative and informative events were held in Kirkwall on 30th of October. Story telling, archival research and creating items for a time capsule were all part of the day’s proceedings. The time capsule, including a witch’s bottle, will be interred beneath the commemorative stone. In the evening Helen Woodsford-Dean and Ragnhild Ljosland led a guided walk retracing the route the condemned would have taken. Written by Fran Flett Hollinrake the tragic stories of the victims also built on previous research from the Orkney Archives. 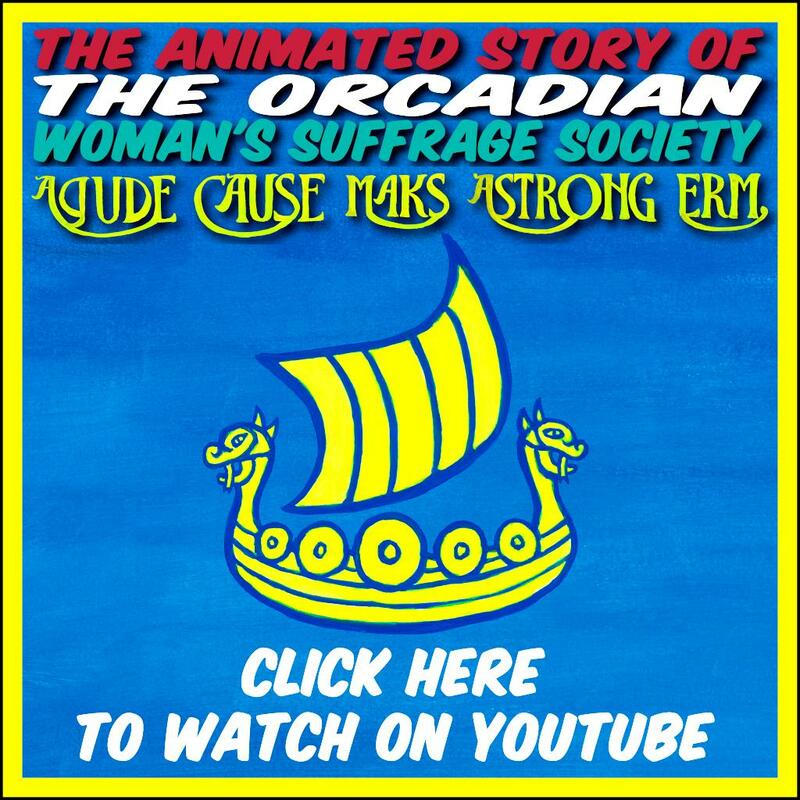 The Orkney News livestreamed parts of the walk to our Facebook page. We also recorded some which are now available on The Orkney News YouTube channel. The walk assembled at 6pm on the steps of St Magnus Cathedral, Kirkwall. From there the walk took a route along Victoria Street. The guides also told of the past traditions of Orkney some of which persist to this day. Moving further along Victoria Street we heard more accounts about the victims and what was happening in Scotland at the time. The walk finished at Clay Loan where the executions, burning at the stake, would take place. Helen and Ragnhild led a thoughtful and informative guided walk. All ages were represented in those who took part. This part of Orkney’s history is unpleasant but witch trials took place in many parts of Scotland in the 17th Century. All those who organised the day’s events are to be commended for the consideration they put into a careful presentation of the plight of the victims of the Orkney Witch Trials.